These photos are so vibrant and contemporary. I hope this isn't just another big hoax thanks to photoshop. 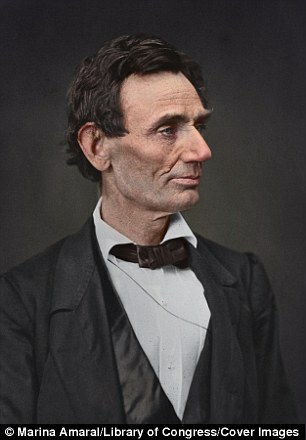 I was always frightened by black & white photos of President Abe Lincoln. There was something about his bone structure and the shadows that were scary. This photo makes him handsome even. Certainly accessible.